"Aasma Associates" is a property search company servicing clients looking to Buy, Sell or Rent Residential or Commercial properties in Goa. Our activities include Sale, Purchase and Leasing of all types of Real Estate. If you are looking to Buy, Sell or Rent and need an experienced hand to help you find the right property at the right price, without the hassle of being bombarded with particulars or spending valuable time seeing properties that do not meet your brief, "Aasma Associates" can help. With extensive knowledge of the market and experience in negotiations "Aasma Associates" will provide you with a professional and personal service, giving you the confidence that your search is progressing quickly with minimum stress. Our dealings are always fair & transparent. Our aim is to provide an exact match to suit the clients need and requirement, thereby ensuring that valuable time is not wasted and also enhancing our own credibility in the process. We also manage Real Estate portfolios and provide investment solutions on a long term basis. 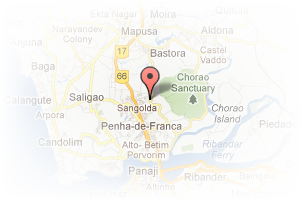 Address: Shop No-3, Solanki Niket, Alto-Betim Porvorim, Alto-Betim, North Goa, Goa, India. This Broker Profile page for "Aasma Associates" has been created by PropertyWala.com. 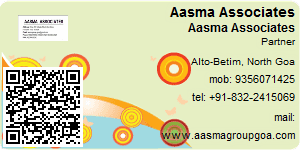 "Aasma Associates" is not endorsed by or affiliated with PropertyWala.com. For questions regarding Broker Profiles on PropertyWala.com please contact us.